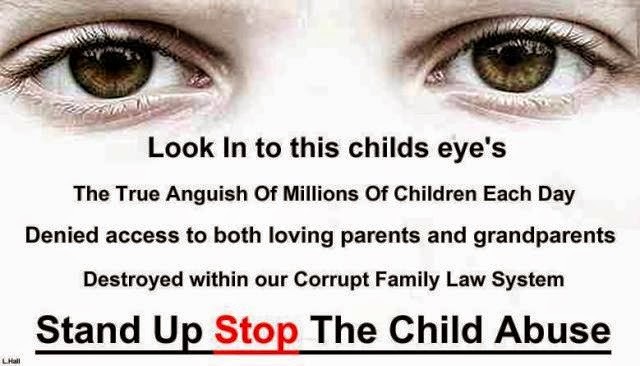 Children's Rights: Exposing The Methods An Alienating Parent Uses To Brainwash Their Child. Exposing The Methods An Alienating Parent Uses To Brainwash Their Child. Isolation. The act of isolating, or the state of being isolated, insulation, separation; loneliness. Manipulation. A method of changing an individual’s attitudes or allegiances through the use of drugs, torture or psychological techniques, any form of indoctrination, alluding to the literal erasing of what is in or on one’s mind. Brain Washing used to be associated exclusively with the act or practice of manipulating. The state of being manipulated. Shrewd or devious management, especially for one’s own advantage. Indirect control, as of an advisor; power to affect the opinions. If you isolate the target You can say what you want about them. If you isolate the victim and only allow contact with allies you have complete control. This is an "Alienation Tactic". It’s completely unhealthy emotionally. Instead of turning to another adult for emotional support, this type of parent turns to the child, using him or her as an emotional confidant or spouse. That’s the unfortunate thing about high level alienators. 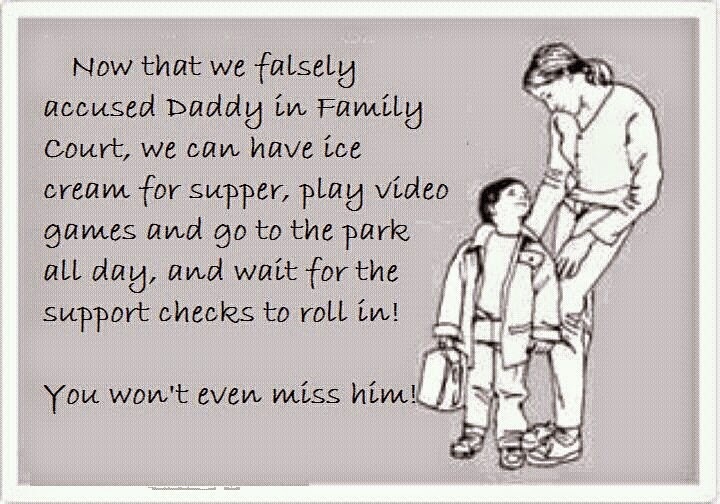 Their inappropriate enmeshment with their own child doesn’t cease upon the child’s entering adulthood. Rather, it kicks into new gear, centered around guilting the child for expressing and acting on his or her natural desire for independence. 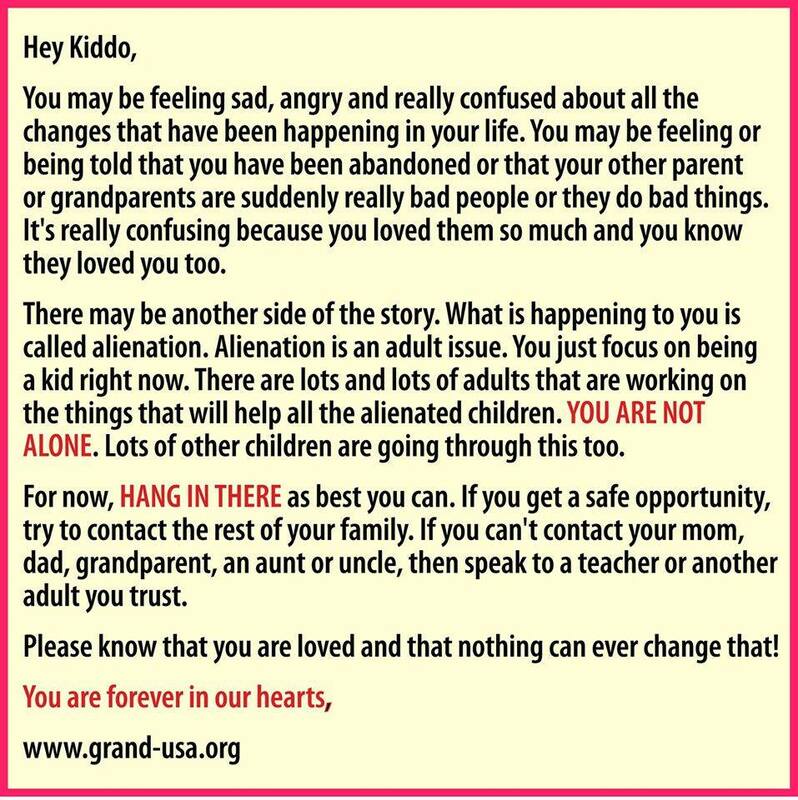 To these parents, this is a threat of the highest level imaginable– not being needed." High level brainwashers are hyper-selfish people who are experts in playing the victimhood card. 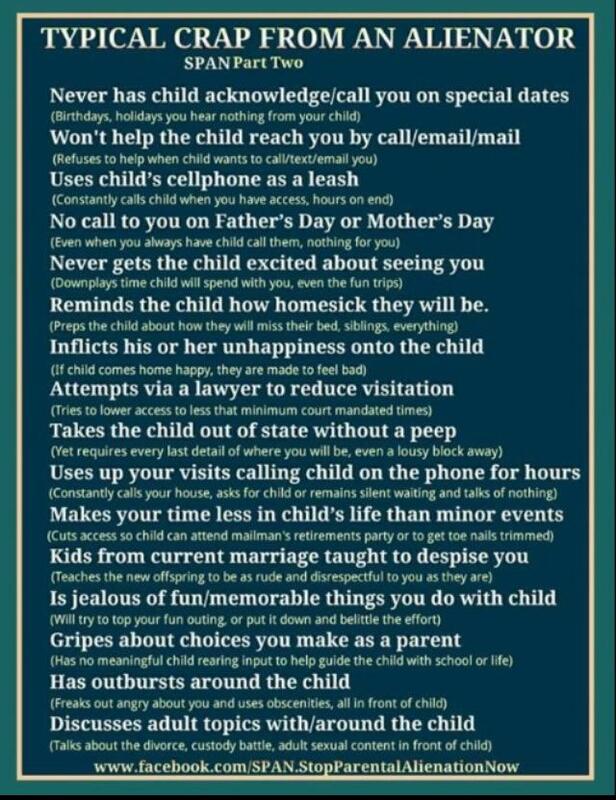 They view parenting not only as an obligation but also a favor to their child, and expect something in return down the line. This is the ultimate form of entitlement. Moreover, they view the child as an extension of themselves, not as an autonomous human being. PASattorney.com--giving you the resources you need to fight PAS. 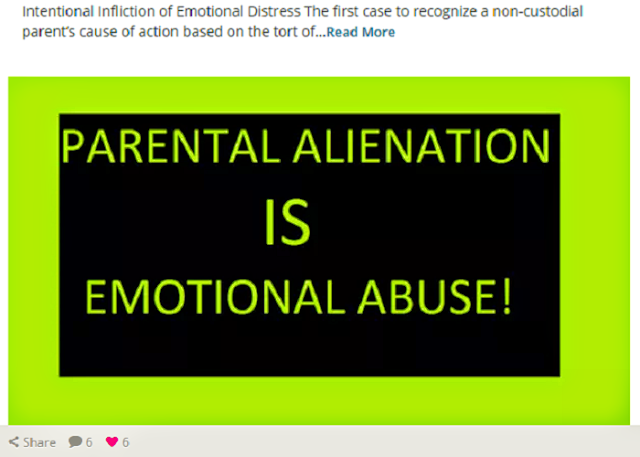 Frequently, their reasons are not based on personal experiences with the targeted parent, but reflect what they are told by the obsessed alienator. The ‘pseudomature’ child is the one who seems to have skipped right over childhood. Both the ‘pseudomature’ child and the ‘entitlement monster’ are bi-products of narcissistic parenting. The latter is held captive in a parent’s narcissistic bubble, while the former is forced out prematurely and forms a false Self that appears more competent than it actually is. 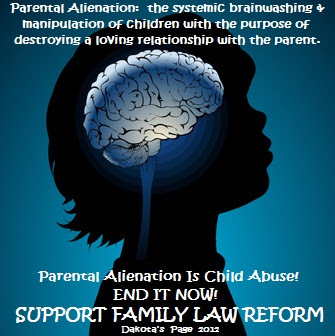 In his scholarly work Divorce Poison: Protecting the Parent-Child Bond from a Vindictive Ex, Dr. Richard Warshak eloquently listed the areas like “corrupting reality,” which the NPA is especially renowned: “. . . To intervene effectively in a campaign of denigration, we must understand exactly how the child’s view of reality is being manipulated. Below is a summary of some of the most common strategies for distorting the child’s perceptions, beliefs, and memories of the target” (Warshak, 2001, pp. 202–203). Narcissistic children often become like their narcissistic alienating parent, but one should wisely keep in mind that “narcissistic traits may be particularly common in adolescents and do not necessarily indicate that the individual will go on to have Narcissistic Personality Disorder” ~ American Psychiatric Association, 1994, p. 660. For some therapists, identifying a NPA is beyond their skill-set and may themselves join in the bad-mouthing of target parents whom they have never met. Some uninvited therapists become involved as the NPA’s activist and go so far as to write inflammatory and/or defamatory letters to courts containing fictitious claims, diatribes and false histories based upon the NPA’s fabrications and those of a disturbed child. NPAs often do not perform background checks, and may even knowingly choose some individuals to represent them or the child, because of their naivety and easiness to be manipulated, or their reputation as a hired-gun. NPA choices for legal and mental health representation, for example, may include individuals with previous warrants, or who willfully commit perjury in court, or who misrepresent their case histories on a website, or even live with a cross-dressing partner with gender issues while allowing their own children to remain in such an environment. It is imperative for target parents to complete a thorough check with the state licensing board, the courthouse or the bar association before agreeing to an attorney, therapist, or evaluator to represent their child which can often save thousands of dollars in the long run. 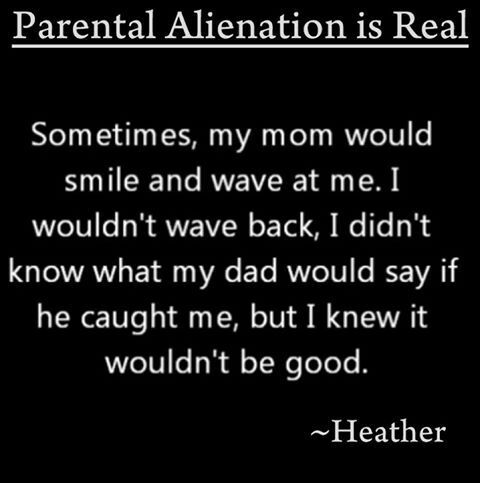 Regarding chronically alienated children, it is estimated that up to 40 percent develop an alignment with the alienator and have no problem over and over again to denigrate and outright reject the other parent and everything they say. These children tend to loose the spirit and soul that once nurtured a love for the NPA’s target as they refuse to bite the hand that feeds them by nurturing unwavering hatred. 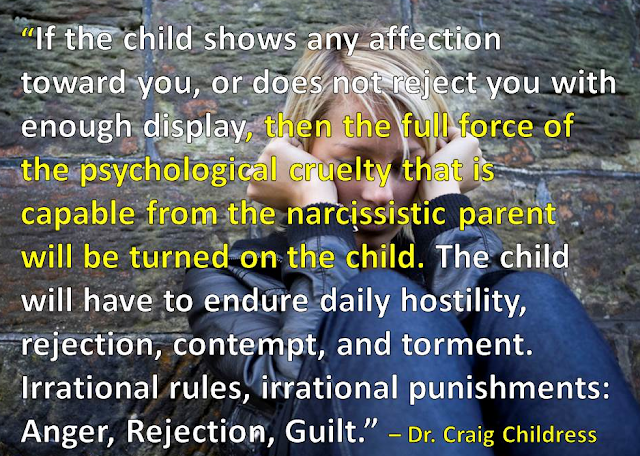 These children are psychologically abused by the alienator and inanely believe the target parent to be evil and horrible, when in fact; it is the NPA who qualifies for that status. Research studies should be performed regarding NPAs, to assist unskilled therapists to identify the real abuser instead of inadvertently advocating NPA deception and blaming the target parent. Even an experienced or renowned therapist is quite capable of being bamboozled to breach ethical standards and professional objectivity by treating and performing a custody evaluation with the child simultaneously. When narcissistic parents are too absorbed with their own preoccupations to spend time with their kids, they often raise narcissistic children, or at least children with profound narcissistic vulnerabilities, such as shame-sensitivity and the inability to manage intense negative feelings or to control their own aggressive impulses. Often, years pass with exploitative and repetitive brainwashing, denigration, and manipulation of the child against the target parent, and that, as the child matures into a teenager or adult, they become truly incapable of making sound and healthy choices, because irreversible damage has occurred. Few parents maintain the financial and psychological endurance against narcissistic abuse or have the skills to uncover the pettifoggery, before the child’s mind is completely altered and initiated into the alienator’s cult of parenthood. Experts and courts need to appreciate that time is of the essence. 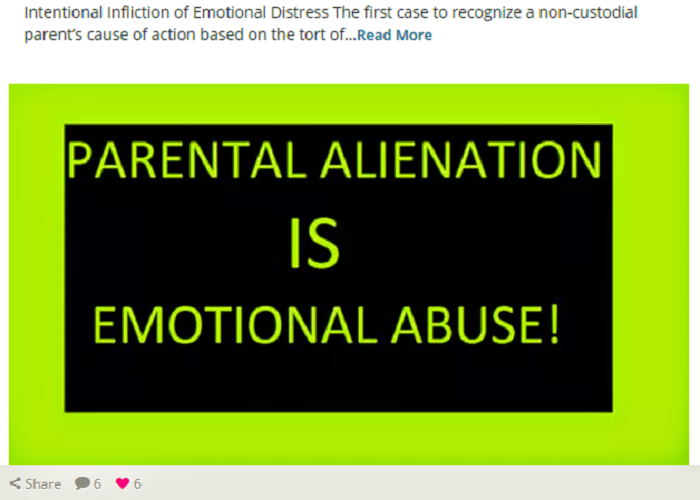 Inexperienced therapists, evaluators, and often judges do not take into account when a child or teen has been subjected to years of poor behavior by an NPA prior to divorce or custody disputes and who have imposed such unbalanced and warped ideas on their offspring. When a teen claims to take their own stand on making mature adult choices, such a thought pattern needs to be addressed and corrected. 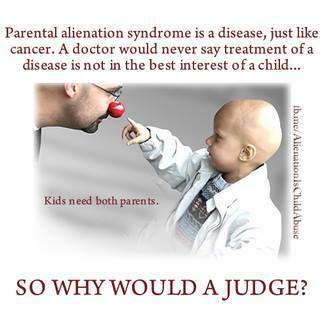 Haven’t we all seen enough parental and juvenile dysfunction increase in the news over the last decades? The rates of teen violence and peer crimes are on the rise because so many NPAs are never home to parent (often out on “business” dates, using drugs or alcohol) and they refuse to allow the target parent to assist. Often these types of NPAs will veil their paramour under the guise of being a friend or babysitter and then further deceive their former spouse and professionals by remarrying that individual with the hidden intention to cause further hurt to the target parent through the purchasing of the “synthetic replacement.” It is not uncommon for the NPA’s extended family to contribute to the alienating process by participating in concealing such facts. HOW does one deal with a Child lying to the Courthouse in order to protect "friends" from incarceration for illegal activity, while degrading their parent, and denying any/all contact with that parent - now going on for OVER TWO YEARS. IT IS BREAKING MY HEART EVERY SECOND OF EVERY DAY. THE COURT IS REFUSING ANY/ALL COMMUNICATION WITH CHILD....OVER UNCONFIRMED LIES TOLD TO THE COURT.